This 5000w (max. 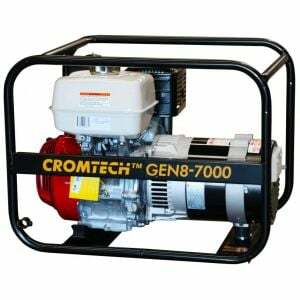 output) petrol generator comes with Trade Pack and is assembled and tested in Crommelin's Australian factory. 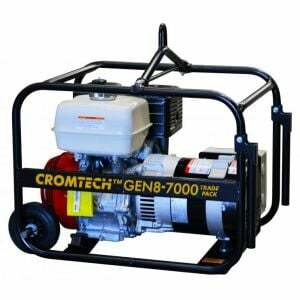 The new 5kW Cromtech Petrol Generator is a tough unit and powered by genuine 9HP Honda industrial engine for reliable, outstanding performance.